The Garrard warehouses were, like most other tobacco warehouses, used for storage, drying, and curing of tobacco leaves. Unlike the Bullington and Carmichael, built along N. Duke St., the Garrard warehouses possessed little external adornment - large functional venting louvers extended along the sides of the warehouse, with brick parapet walls at the north and south ends. The Garrard warehouses were built in 1925. 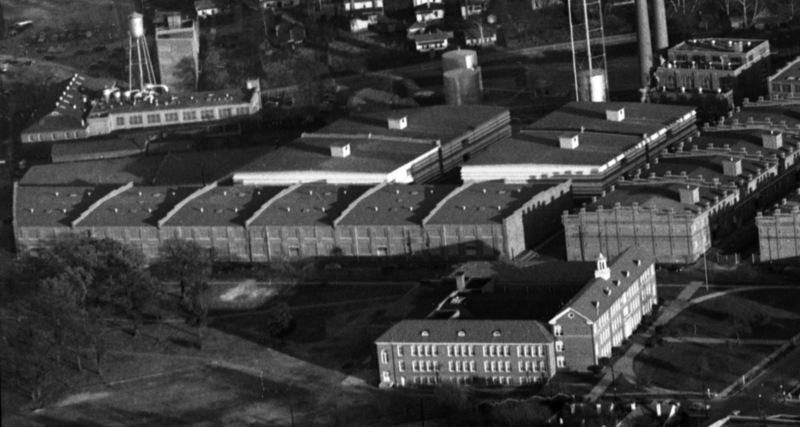 The Farley warehouses were built in 1933, replacing the smattering of small houses seen in the left background above. Larger than the Garrard warehouses, they appear to have been almost entirely louvered, with the exception of a mid-structure brick parapet wall. 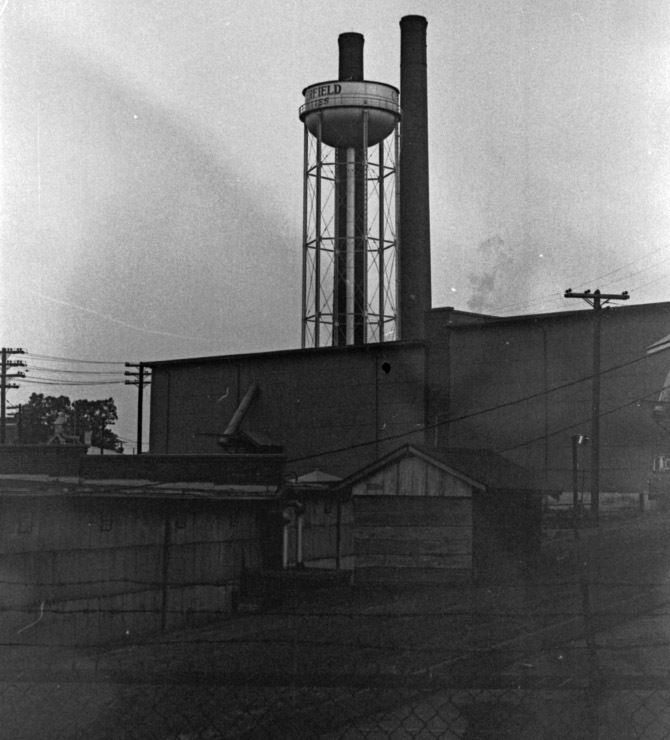 Looking east, 1948, at the Carmichael warehouse in the foreground, and illuminated behind it, the Farley warehouses. 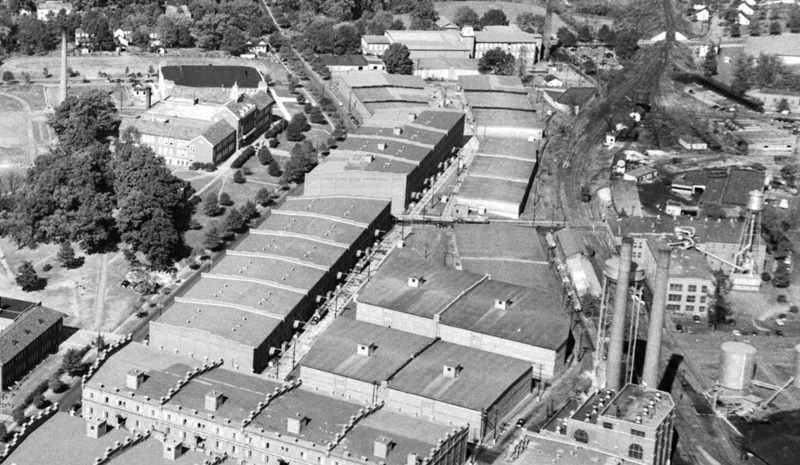 Looking north, 1950s at the two Farley warehouses, and the Garrard warehouses stretching northward along Fuller Street and the Beltline railroad. 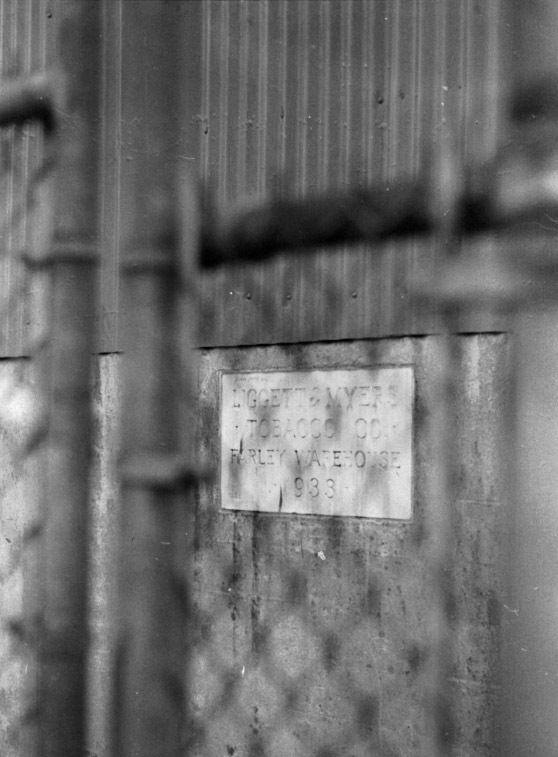 The last sighting of these warehouses that I've located is in 1972; I assume that they existed up until the Carmichael and Bullington warehouses were redeveloped in the early 1980s, and then turned into parking. Site of the Farley warehouses, looking northwest, 05.25.08.